Defending champions Arnett Gardens secured their first victory since December 13 by defeating University of the West Indies (UWI) FC 2-1 in the final game of Match Day 22 of the 2017-2018 Red Stripe Premier League (RSPL) on Thursday night. The victory means that Arnett Gardens snapped their six-game winless streak, a period in which they took a measly five points from a maximum of 18. That period also saw a 5-1 defeat against tournament leaders Portmore United, which led to report of internal issues within the club. On Thursday night, Arnett Gardens had to come from behind to secure the victory after Ramoun Reid had given UWI FC the lead on the stroke of half-time, but Fabian Reid (71st minute) and Kemal Malcolm (86th minute) replied for the defending champions. Arnett now moved to 41 points to remain in second place, six points behind Portmore United, which had beaten Humble Lion 2-0 the following day. 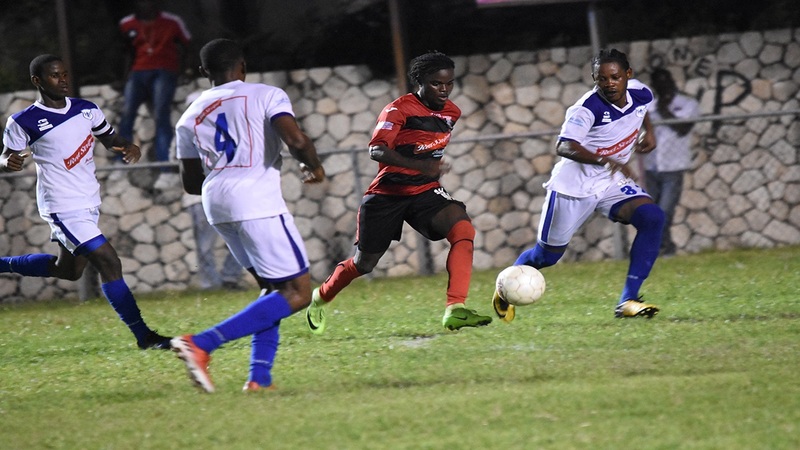 Meanwhile the gap between third-place Tivoli Gardens and fourth-place Cavalier remain at two after the teams battled to a 1-1 draw at the Edward Seaga Complex. Colorado Murray scored for Tivoli Gardens in the 68th minute, while Kaheem Parris hit back for Cavalier in the 74th minute. And Harbour View followed up their upset 2-1 victory over Portmore United by securing an away 1-0 victory over Reno at Frome. Michael Lutas scored the lone goal in the 38th minute. With the victory, Harbour View moved from eighth to seventh on 27 points, two ahead of Reno.